Licensing JMP alongside other SAS software products and solutions gives organizations the flexibility to grow and adapt as projects evolve. SAS on the server is invaluable for data cleansing, integration, security and access. 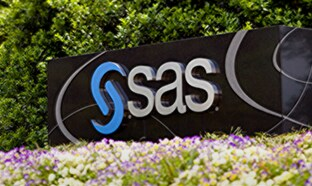 When analysis projects involve large, disparate, or messy data from many sources, use SAS to assure you have premium-quality data on which to base your analyses. 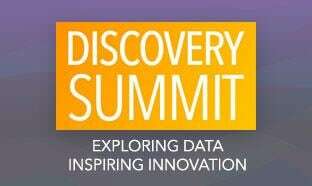 Then use JMP to focus on discovery, analysis and innovation through its convenient and powerful data visualization, dynamic linking and analytic capabilities. JMP can provide an interface to SAS without the need to write code. 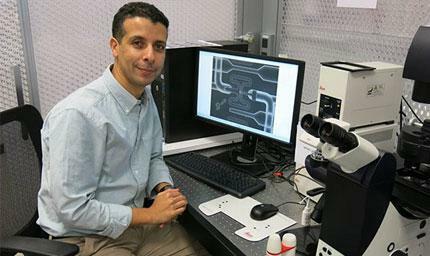 A diverse set of applications in JMP extends access to specific SAS software features, procedures and solutions. 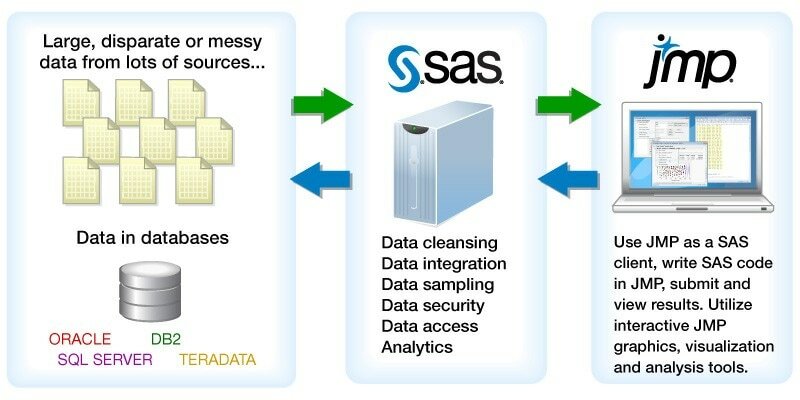 Seamlessly move data from a variety of sources into SAS for data cleansing, integration and sampling. Use JMP to explore the data visually and interactively, then run SAS commands directly from JMP. Learn more about the products that integrate JMP and SAS for specific business and scientific purposes. Import, sample and analyze data sets cleansed and integrated by SAS. Extend JMP with the wide array of data management tools and tried-and-tested analytic procedures available in SAS. Utilize interactive JMP graphics, visualization features and analysis tools with your SAS programs. 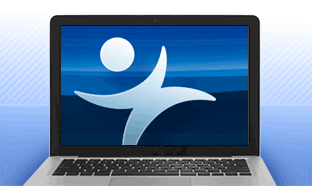 Use JMP as a SAS client on Macintosh and Windows. Write or create SAS code in JMP, submit and view results in JMP. 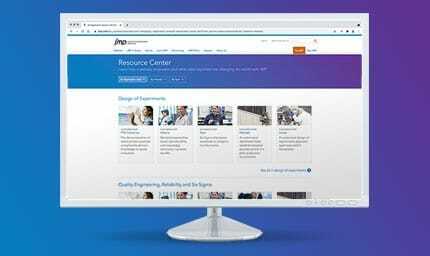 Build customized JMP and SAS client-server solutions. Point and click to move data to server from JMP, perform analysis, then pull SAS results into JMP in one of many formats. Use SAS programs to manage and analyze data, then pull SAS results into JMP in one of many formats. No SAS involved, use native analytics and graphics in JMP. Import or query SAS data to a JMP data table. Run the desired JMP analysis. Move data to server from JMP in a few keystrokes, perform analysis, return data and reports, then run the desired JMP analysis. Perform analysis in SAS, return data and reports to JMP, then run the desired JMP analysis. Build completely customized JMP and SAS-based client-server applications to meet your specific analytic needs. 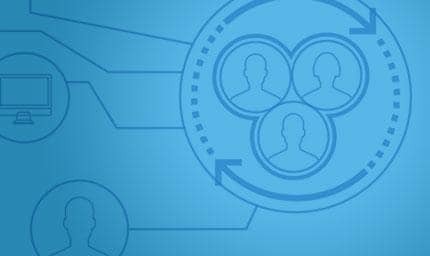 Learn more about building dashboards with JMP, or browse the JMP File Exchange for SAS add-ins developed by JMP users. Create a SAS application in JMP and display results returned from SAS in an automatically generated JMP report. 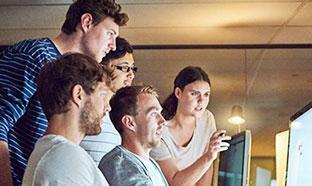 JMP includes a full SAS Editor, enabling you to write SAS programs within JMP and submit them to SAS for in-depth data analysis. Results are returned to JMP in the format you specify. If the desired format is a JMP report, the many visualizations available in JMP can aid exploration and understanding. You can also open SAS programs created by someone else and run them with a click of the mouse. 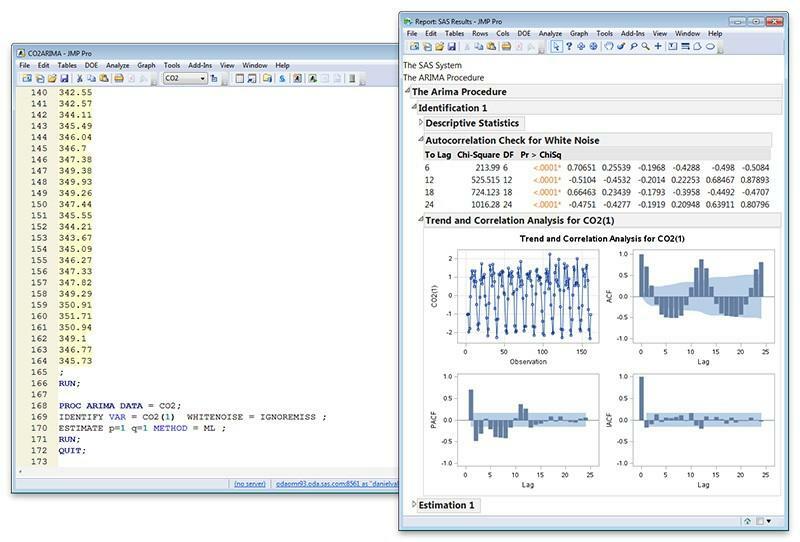 In the JMP Fit Model and Time Series platforms, you can automatically create SAS programs of your models and submit them to SAS. In the JMP Partition and Neural platforms, you can create SAS data step code that you can use to score a new data set.